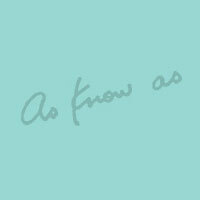 As Know as (アズノゥアズ) started in 1989 with just 2 people, Eri Asami and Hiroki Watanabe. But it has grown into a large chain with many hundreds of employees and now runs stores all over Japan as well as abroad. It produces a number of fashion lines. It produces women’s clothes, dogwear, and accessories which it sells both through retail and wholesale channels. As Know As is especially well-known for its elegant casual wear of high quality for women in their teens, twenties, and thirties. It is also involved in real estate and restaurants. The company describes itself as not only about fashion but also about living well.